Located closer to Africa than Italy, the island of Sardinia is Mediterranean’s second-largest island after Sicily. It will captivate you with its rugged landscape, rocky coastline and some of the Mediterranean’s most dazzling and seductive beaches, yet within short distance of elite resorts and hotels, trendy shops, some great restaurants and bars. Once a crossroad for empires journeying through the Mediterranean sea, Sardinia has been a cultural melting-pot, scattered with 7 000 Bronze Age towers - the astonishing nuraghi, prehistoric tombs like the 'giant's grave' tombs, Bronze Age towers and settlements. Different from Italy's mainland with its rather scarce art and architectural examples, Sardinia is predominantly wild and mountainous, covered in a carpet of densely growing evergreen shrubs. 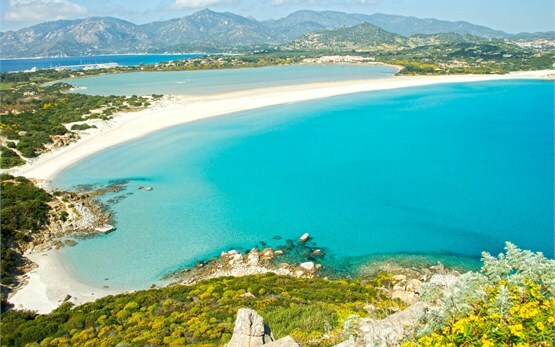 The large distances involved and the scattered in the countryside unique prehistoric sights, the secluded bluer-than-blue coves and countless snow-white sandy beaches make Sardinia ideal for touring on a hire motorcycle or scooter. The wildest Mediterranean island boasts superb diving spots and a host of thrilling coastal drives, as well as some of the most memorable cuisine in southern Europe and is best to be explored by road. An island where sheep rule the roads and outnumber people, Sardinia is the perfect place to get away from it all on your rental motorbike or scooter. 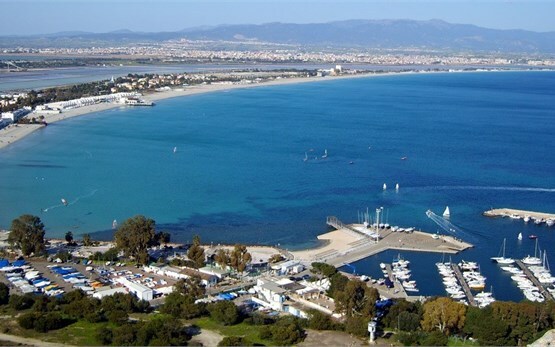 For those curious to get a feel of the island's unique atmosphere, we offer rental motorbikes in Cagliari, Sardinia's capital and a major arrival and departure point for tourists. 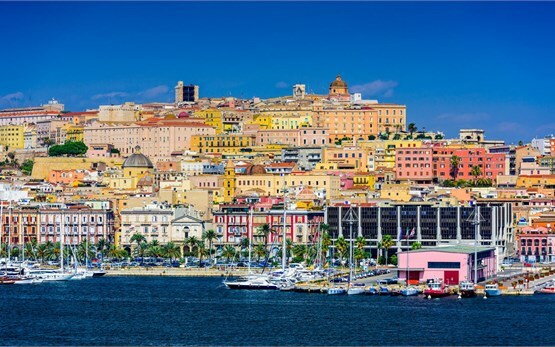 An ancient city with a long history, Cagliari is situated in the south part of the island and is a mix between a bustling, vibrant capital city with upbeat party scene and a place steeped in Roman ruins, museums, churches and galleries, a modern tourist destination but also a quaint and quirky Mediterranean town immersed in ancient history and distinct traditions where you can enjoy a journey back through time. If you are looking for a motorbike or scooter hire in the largest Sardinian city, do not look any further. Pick up your motorcycle rental in Cagliari and discover all the treasures of this scenic city and the island of Sardinia at your own pace as it is a jewel waiting to be discovered with its breathtaking roads running on high cliffs, wild mountains, and dramatic views of the Mediterranean sea and there is no better way to do it than on a rental motorcycle or scooter.